Today I've got swatches of a beautiful shade from piCture pOlish plus some nail art! I can't get enough of my stamping plates lately, between MoYou, Pet'la and the Creative Shop stamper, I've really got back into it! piCture pOlish Desire is part of the limited edition Vampy Chameleon collection, a range of duochromes and matching scattered holo shades. Desire is definitely my favourite from the bunch! It's a deep purple (blurple?) with tons of scattered holo and a slight colour shift. The formula is perfection, I used 2 coats plus Gloss On Top top coat. I'm pretty disappointed with my pictures of the nail art, it just looks SO MUCH nicer in real life! Do you ever get a design you just don't seem to be able to photograph well!? Anyway, what do you think, do you own any of the Vampy Chameleon shades? *drool* this is such a beautiful color combo! I love the stamp you chose to pair it with- it really showcases the polish! And agreed, I hate when I can't do the nail art justice with the photos! So frustrating! Oh my gosh! These are flawless! The Three Times plate from Pet'la is one of my favourites. I love those geometric designs. And I feel you, I get designs that don't photograph well all the time, such a bummer! But I think this looks gorgeous in photos so don't worry hehe! 1) I need Desire...you make it look absolutely amazing 2) that stamping is perfection and I also want that a-England for stamping purposes! Well this doesn't look bad to me in pictures at all! But I recognize your feeling, sometimes it doesn't capture the way you want! Yep me too. I thought I was on my own with my underwhelming photos. 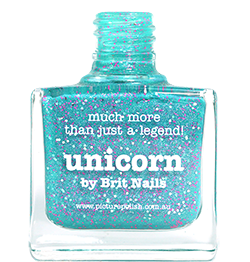 The polish looks stunning though so I'm really curious as to how good it does look. Your stamping is great as well.